It’s not surprising that you’re curious about the best way to translate subtitles for your professional videos. Video has emerged as arguably one of the most popular online content formats consumed in the past few years. 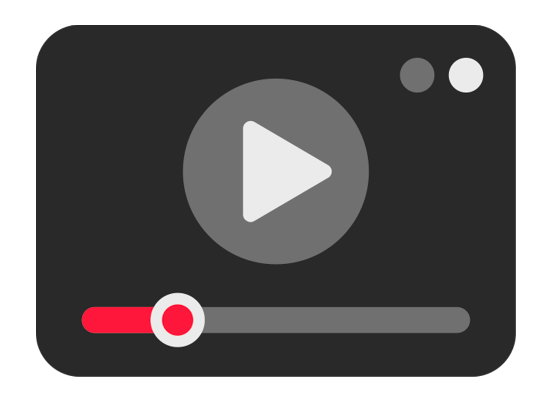 Used as an effective communication vehicle—for both consumers and businesses—video is able to grip its viewers and visually convey concepts more easily than the written word can. Therefore, it’s safe to say this medium is not just a passing trend. That’s why we wrote this article on the best way to translate subtitles for videos you create on behalf of your business or organization. So whether you’re creating internal training videos that need foreign language subtitles, or you’re working with a marketing department on a multilingual ad campaign, this information will set you up for success when creating captions in other languages. The best way to translate subtitles for professional videos for quality while saving time and money is to first find professional translation software that contains Translation Memory. Why? If it’s important that the information you’re conveying in your professional video subtitles is highly accurate and not misinterpreted, you need to prioritize quality translation. And this means that you can’t just upload English subtitles to Google Translate. 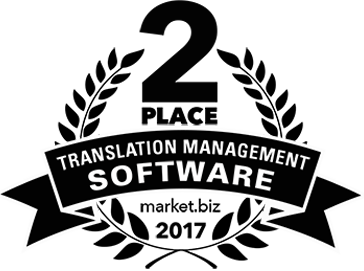 What you’ll need is a high-caliber translation solution made for the job (professional translation software). And you’ll need to use this in conjunction with a human translator. But keep in mind that you’ll need to hire a freelance translation professional, or find a bilingual colleague to help you. The translation software doesn’t teach itself! No translation software alone on the market can deliver the high quality translations that a human translator can. Idioms, jargon, technical terminology and abstract concepts need to be taught to a translation engine, and the ones that can learn from you are the ones that contain Translation Memory. We can’t stress this enough. Professional translation software alone doesn’t work unless a human trains the software. Learn more about how this works in our post on how to train your machine translation engine. The translation software will save you time and money over time if you plan to update your videos or create more videos in the future, even though it requires the human touch. 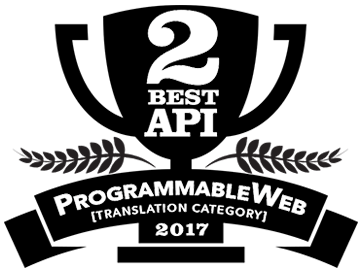 At the end of this post, we recommend the easiest and smartest professional translation software for video producers. If you want the best way to translate subtitles for professional videos efficiently, it will improve your workflow to look for professional translation software that is compatible with subtitle files. Ideally, you’ll look for a translation software that lists “.sub” and “.srt” files in its file compatibility list. These types of files are actually text files. They contain data on sequencing and cue points, which indicate for when each subtitle should be shown during video playback. When you upload a subtitle file into translation software that’s compatible with it, you can upload your subtitle file as is. This reduces the amount of effort needed when it comes to translating subtitles for professional videos. Perhaps one of the best ways to translate subtitles for professional videos is to use translation software that has automatic formatting functionality. Pairaphrase is a web-based translation management system for enterprises. It’s safe, secure and smart. In summary, you want to use translation software that encodes your files. This will make it so that you don’t need to reformat your subtitle file after the software runs the translation, because that will take you a lot of time—especially if your videos are lengthy. If you choose the right translation software for subtitles, the translation process should be as easy as uploading, editing and downloading a file. The best way to translate subtitles with translation software is by using Pairaphrase. Pairaphrase is easy-to-use online translation software for professionals. It helps you manage your translations and collaborate with colleagues and human translators. It uses AI to learn your words and phrases so that you never need to translate the phrase twice. The amount of money and time you save in the long run by using Pairaphrase will surprise you. Professionals report saving more than 50% of their time by using this software. One of the reasons Pairaphrase is the best way to translate subtitles for videos is that our translation software will encode your .sub or .srt file when you upload it for translation. The purpose of this is to retain as much of the formatting as possible, keeping your subtitles and their cue points intact. Another reason Pairaphrase is the best way to translate subtitles is that your content is always secure. With Pairaphrase, your files and data are encrypted using the strongest security technologies. Not only that, but we never share, index or publish your data. It remains 100% confidential. Now that you’ve learned the best way to translate subtitles for professional videos, get started with Pairaphrase today and select a plan that suits your business.